I have purchased filthy gorgeous nail polish before but it was a magnetic nail polish whereas this one was a regular cream nail polish. Applying this nail polish was pretty good. These colours tend to be on the watery side so I tried to limit the amount of polish I had on the brush. 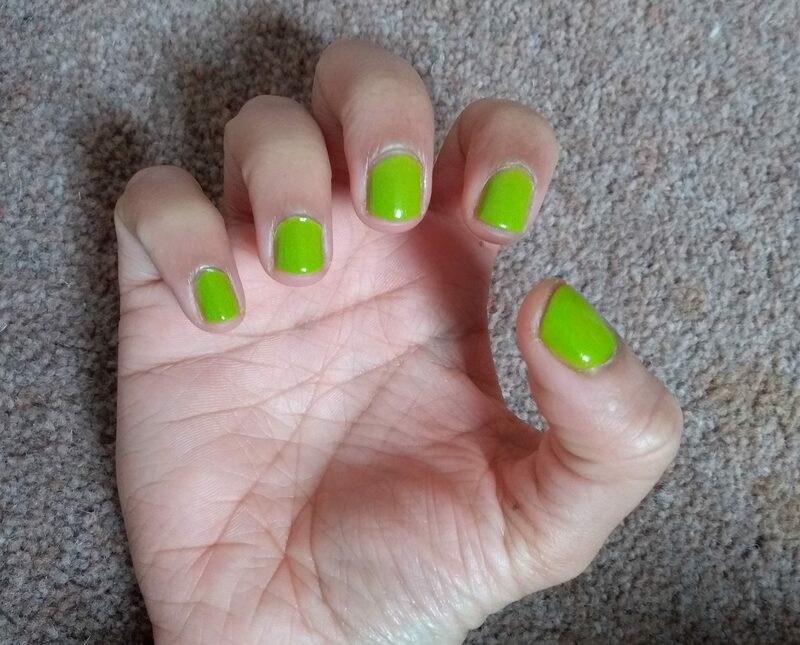 With the right technique you could get away with this in one coat of nail polish as it was pretty opaque on its own but I decided on two coats to intensify the colour. 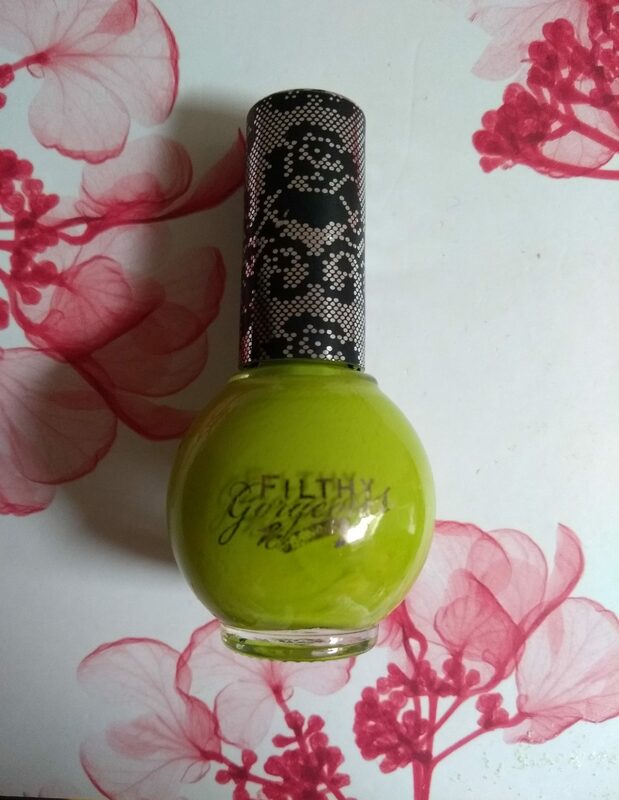 I give this nail polish 7/10 as I like the colour and the bottle is cute but it is a touch watery for an expensive nail polish.